Helping you plan your financial future is our business. 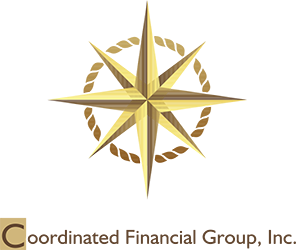 Since 1985, Coordinated Financial Group has been helping clients realize financial success by offering a broad array of financial planning and investment advisory services. We provide clients a personalized and creative approach to financial planning with expert advice. We work with you to address the key areas of financial planning – asset protection, disability, cash flow planning, debt management, investment planning and estate planning. We’re here to help you get organized, set goals and develop strategies to achieve them. We believe that the most important aspect of financial planning is gaining a complete understanding of your objectives, motivations and concerns. As overseers of our clients’ financial assets, wealth management means more than just investment management. It is the establishment of a long-term relationship based on trust and sound financial advice. We started our journey in 1985 as Coordinated Financial Services. The name was changed to Coordinated Financial Group (CFG) in 1990 and our agency was incorporated at the start of 1997. CFG began with the Austin office, expanded to Houston in 1990, to San Antonio in 1992, to Lubbock in 2001 and, to Dallas in 2004. CFG Corporate office is located in Austin, TX which is where we assist thousands of happy clients, operate more than 100 representatives and still expanding.